Great group of audio video and animation website for students to use for storytelling and more from Ozge Karaoglu, blogger for Tech & Learning online publication that I receive. LittleBirdTales is a tool that lets you capture your voice; create an online book using artwork, pictures and words. You can scan your pictures, upload them from your computer or you can draw your pictures on LittleBirdTales’ art pad. When you finish uploading your pictures, you write your text and record your voice for each one. When you finish, you can share it with others via email or get an embed code to place it on your blog/website. This tool is ad-free, user friendly and a great tool to create digital stories with young learners. It will certainly foster the creativity of our students. LittleBirdTales is a tool that lets you capture your voice; create an online book using artwork, pictures and words. You can scan your pictures, upload them from your computer or you can draw your pictures on LittleBirdTales’ art pad. When you finish uploading your pictures, you write your text and record your voice for each one. When you finish, you can share it with others via email or get an embed code to place it on your blog/website. This tool is ad-free, user friendly and a great tool to create digital stories with young learners. It will certainly foster the creativity of our students.Children can illustrate their favorite stories and share them with others. Vocaroo is a tool that lets you record your voice immediately and get a link for it. You don’t need to download any software or get an account for this tool. It’s the easiest tool for recording voice. Children can tell/retell a story by recording their voices and sharing it with others. Voxopop is a web-based audio tool. You can consider this tool as a message board that uses voice instead of text. You create a talk group and share it with others and let them record their voices on the same timeline. Children can create a chain story by recording their voices on the same timeline. Voicethread is a site to create collaborative and multimedia slides that you can navigate and leave comments for. Each slide can hold images, videos or documents such as PDF, Microsoft PowerPoint, Excel and Word documents that can be commented by the people you choose to share your Voicethread. Children can create a collaborative story by adding their own pictures or drawings and recording their voices. Voki is a tool to create speaking avatars with your own voice. You choose your avatar; you customize it by changing the hair, clothing, bling and the colour of the hair, eyes and skin. When you finish, you give your avatar a voice by recording your voice by phone or using a microphone. You can also upload an audio file or you can use text-to-speech feature to convert your text into speech choosing the gender and the accent. When you finish, you can get a link or the embed code to publish it on your blog or your website. Children can tell their stories by recording their voices or they can retell a traditional story with a different ending. BubbleJoy is a tool to create and customize video greeting sites. You don’t need to download anything or get an account. All you need is a camera. You choose your message card and record yourself using your web cam and send it others via mail.Children can record themselves while telling/retelling a story that goes with the frame that they are using. Fotobabble is a tool to record your voice for pictures. You upload your picture, record your voice using your microphone and publish it online. You can get a link or an embed code to place it on your blog/website. Children can record their voices telling a short story or a poem about a picture or they can listen a fotobabble story and talk/write about their favourite part. Jing is a tool to take a picture or make a video of what you see on your computer screen and share it online instantly via mail, web or by saving it on your desktop. Children can record their voices for the presentations that they have prepared or they can get a picture, talk about it and create a story for this picture. Bookr is a tool to create and share your photo book using Flickr pictures. You can write tags to find the pictures from Flickr photos or you can search your name on Flickr to find your own photos. When you find them, you drag and drop the picture on the book, write your text for that picture and share it with others via mail or you can place your online book on your blog or website. Teachers can create a Bookr and ask the children to add text on it. Children can answer questions, complete the sentences or answer true/false questions according to the Bookr they have seen. Zooburst is a tool to create 3D popup book. When you start building your book, you can choose any angle and rotate the book. You can make the items click-able and let the readers read more about them. You can place speech bubbles on the characters that pop up when it is clicked and make them talk with each other. Children can retell a story, book reports or biographies. Animoto is a tool to create videos from your images and videos. It produces a video from your pictures, video clips and music automatically using transitions and text. When you finish, Animoto does the rest by putting all the information together and creates your video in minutes. Children take their own pictures and create their own story or they can watch an Animoto video and write a story about it. Mixbook is a collaborative tool to create customizable photo books, cards and calendars online.You choose your theme and start adding your pictures. You can move and change the pictures move, rotate, crop, zoom into your photos. There are different fonts and styles to add your text to it. You can also choose your templates, backgrounds, stickers and you can add pages to your Mixbook. Children can create a newsletter or a newspaper or they can publish their drawings and create a story using them. ScrapBlog is a great way to share photos and videos on a creative outlet and create your own digital stories. You choose from colourful and cute backgrounds, add speech bubbles and frames. You can delete or edit anything you want on your scrapblog. You can add your pictures, text or videos and you can create as many pages as you like. Children can illustrate a story that they have written or they can create a scrapblog for their favourite books. PhotoPeach is a tool that lets you make slideshows using your pictures, adding captions and music. When you finish your slideshow, you can add a quiz to it. You can also leave comments to the slideshow. Children can create their slideshows telling a story and add a quiz at the end for their friends to answer. ZimmerTwins is a tool to make great and fun animated stories. You can start making your animation from scratch or you can create your own, using one of the story starters. You choose the characters, settings, transitions, actions and emotions by using drag-and-drop feature. Then, you only write the text in bubbles. Teachers can create the animation and children write the dialogues. When they finish, they can act it out in the class while they are watching the video or children can write an ending or a beginning of the story after they watch. DVolver is a tool to create your mini animations by pointing and clicking. You can choose the setting, characters, music at the background and how the chosen characters interact in your animation. You write what you want your characters to say and it shows up in bubbles in your animation. Children can watch a video and write an ending for it or they can summarize a story. GoAnimate is a tool to create your animations. You choose your theme and characters or you can even create your own animated characters by changing the size and the color of their body parts and clothes. Characters can do different actions such as walking, dancing, and talking. You can use text to speech application to make your characters talk or simply record your own voice using your microphone. Children can redesign a scene from the story or they can create their own animations using the new language that they have learnt. Xtranormal is a text-to-movie tool that lets you create your movie using your own words and text-to-speech application. You choose your characters, settings, background, voice and music. You then write your text into the appropriate boxes and create your dialogue. You can also play with the camera angles and sounds in the scripts. Children can create their own films on different topics and share them with others or children can create their animated book reports. DomoAnimate is another tool to create animations. You can animate the characters, change the background, movement, sound effects and emotions; you can add speech bubbles, interactive elements and music to your animation as well. You can resize things, delete, and move or change their places. Children can create their animated books that talk or they can write their own screenplays and turn them into animation. 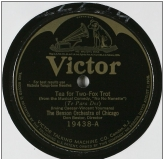 How fun to hear the old tunes from the “Victor Talking Machine”! The Library of Congress National Jukebox has archived more than 10,000 recordings captured on wax cylinders. The archive can be searched and listened to on your computer. From this National Jukebox site, you can make your selections, create your own playlist, share your playlist via social sharing sites, email it or embed it on a website or blog. Nothing to install or download, record on your Mac or PC, plays everywhere, even on iPhones. Just click the record button, capture your screen & voice, and share the link. Great for revealing tips, tricks and software shortcuts. Video tutorials can be embedded on sites and blogs. posted under Audio, Resources for Teaching, Video | Comments Off on Screenr–web-based screen recorder. Snip.ly is a new service for clipping and sharing parts of websites. The idea is this; when you want to share just a portion of a webpage with someone you can now highlight the text you want and share it. To do this you can either use the browser extensions offered by Snip.ly or copy a url into Snip.ly. Either way Snip.ly allows you to highlight text on the page and generates a new url that features the text you highlighted. Share this new url (via email, Twitter, or Facebook) and the recipient will see the webpage you shared with the highlighted text featured. SnipSnip.it : This website allows you to clip a section from a YouTube video and share that section with others. No registration is required. You will just paste the link from your YouTube video, select the start and end times for the section you want and SnipSnip.it will generate a link and an embed code that will play just the section of video you selected. With SnipSnip.it, you can have the video on a blank screen without the distracting and sometimes inappropriate “related videos” that appear on YouTube itself.